Every Day Is Extra is John Kerry’s personal story. The title comes from a saying he and his buddies had in Vietnam. A child of privilege, Kerry went to private schools and Yale, then enlisted in the U.S. Navy during the Vietnam War. He commanded river patrols – swift boats – and was highly decorated, but he discovered that the truth about what was happening in Vietnam was different from what the government was reporting. He returned home disillusioned, became active against the war, and testified in Congress as a 27-year-old veteran who opposed the war. Kerry’s service in the Senate was distinguished. Unlike most senators, who travel on foreign junkets for "fact-finding missions," Kerry travelled to the Philippines and based on what he learned, helped to orchestrate the peaceful transition from Ferdinand Marcos to the duly elected Corazon Aquino government. He played an active role in the BCCI and Iran-Contra matters. In 2004 he ran for president against the incumbent, George W. Bush and came within one state – Ohio – of winning. In Every Day Is Extra he explains why he chose not to contest widespread voting irregularities in Ohio, fearing that after the 2000 election went to the U.S. Supreme Court, another challenge would undermine confidence in the voting system. Kerry returned to the Senate, endorsed Barack Obama over Hillary Clinton in 2008, and when Clinton resigned in 2012 to run for the presidency, Kerry was confirmed as Secretary of State. In that position he tried – and like all his predecessors, failed – to find peace between Israel and the Palestinian Authority (he is critical of both sides but especially Prime Minister Netanyahu); dealt with the Syrian civil war and the rise of ISIS; negotiated the Iran nuclear deal; and signed the Paris climate accord. This is a personal book, sometimes angry, sometimes funny, always moving. 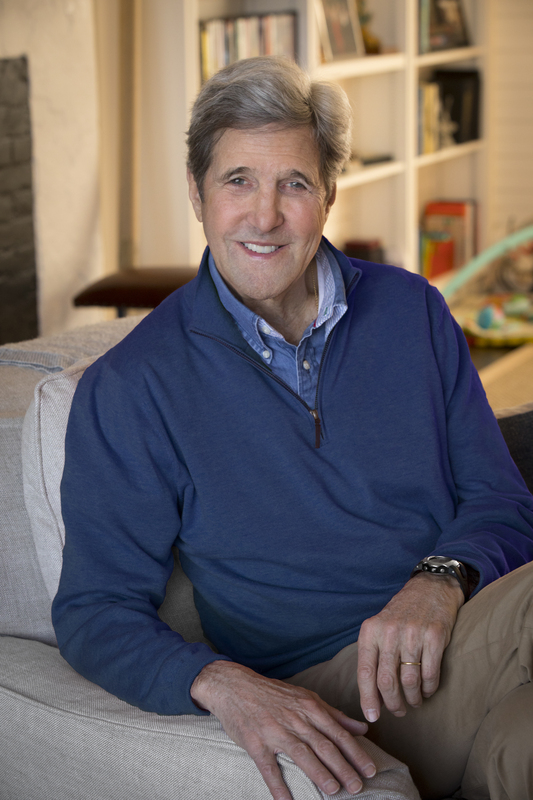 Secretary Kerry will describe some of the remarkable events of his life, such as discovering that his paternal grandfather committed suicide – something his father never told him – and that this grandfather was Jewish, not Irish (he changed his name to Kerry from Kohn, and also converted to Catholicism). His account of his experiences in Vietnam is riveting. His failed first marriage left a wound that never completely healed, but his second marriage, to Teresa Heinz, widow of a Senate colleague, has been an anchor in his life. He tells wonderful stories about the Kennedys and especially about Senate colleagues Ted Kennedy and John McCain. His story of his first real meeting with John McCain, another Vietnam veteran, is one of the most moving stories in the book; his respect for McCain is genuine and inspiring. Every Day Is Extra shows readers how arduous it is to run for president and how demanding the role of secretary of state is. Readers of this book, whatever their political persuasion, will come away grateful that we have public servants who are prepared to spend their lives in service to their country. 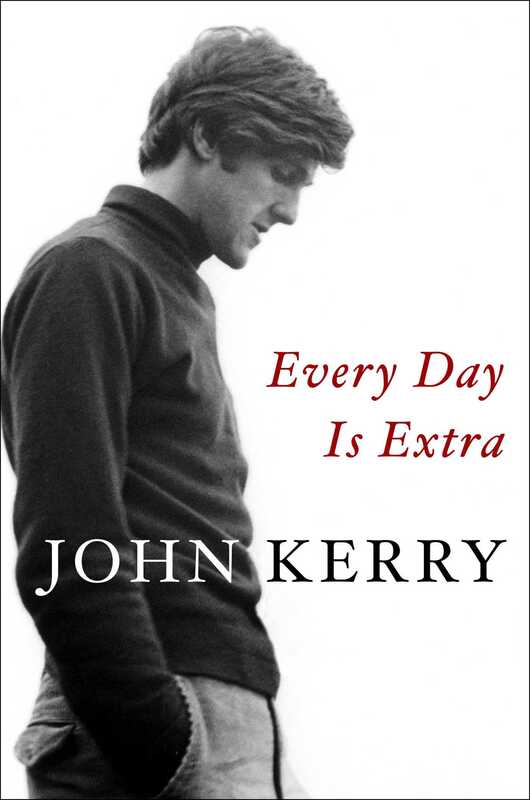 They will also come away with a new appreciation of John Kerry, a man often portrayed as aloof and stiff, but as this book reveals, funny, warm, and dedicated.